Eric Gundersen, CEO, MapBox. With big names converting from Google Maps to MapBox (USA Today, Foursquare, etc. ), Eric will be discussing the business proposition/value of open source geo. Erek Dyskant, Sr. Analytics Engineer, Democratic National Committee. Whether you were happy or sad with the outcome of the recent election, they must have done something right! Erek will talk about how open source solutions were used to empower tacticians with geospatial data, and describe what drove the intentional choice of using open source. 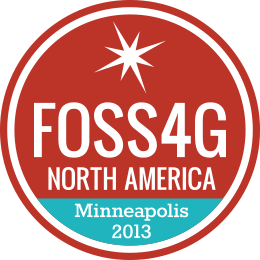 To encourage student participation at the FOSS4G-NA Conference this year, a limited number of student volunteer opportunities will be offered. In exchange for volunteer tasks like staffing the registration desk or being a room monitor for a session, student volunteers will get a complimentary registration to the conference. For more information and to register, go to http://foss4g-na.org/.